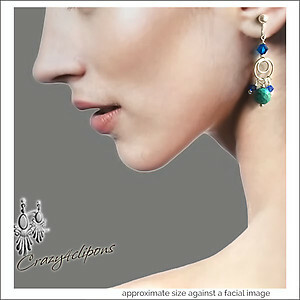 Features: We adore the look of vibrant turquoise gemstones hues in these clip on earrings. 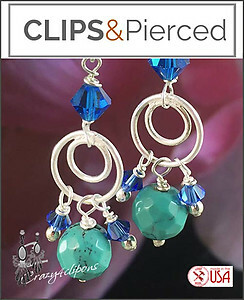 They are beautifully complimented with sparkling Swarovski crystals hanging from a Sterling Silver hoop. 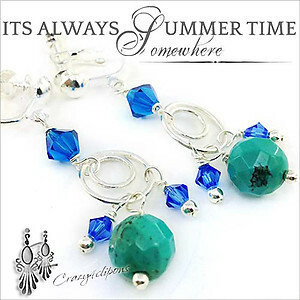 This playful design by is the perfect boost of color to your summer styled outfits.